Tom Cruise’s follow-up to the eighties classic Top Gun currently known as Top Gun Maverick has been delayed until 2020. Originally slated for a July 2019 release Paramount Pictures have taken the tough decision due to “logistical reasons”. The announcement came from the studio on Wednesday (29.08.2018). That extras time should allow them to finish off the complicated flight scenes and visual effects which are said to be a huge part of the film. Filming on Top Gun 2 aka Top Gun Maverick started in May and was signalled by a tweet from Tom Cruise showing a promotional picture with “Feel the Need” written across the middle. In June it was revealed that Val Kilmer would indeed reprise his role as Iceman. Other confirmed members of the cast include Jennifer Connelly and Ed Harris. The film is being directed by Joseph Kosinski whose film credits include Oblivion (2013) which also starred Tom Cruise. He made his film directorial debut back in 2010 with the Tron: Legacy. 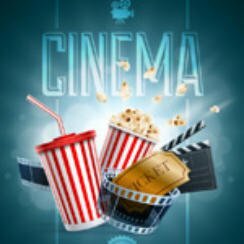 UK Cinema Charts June 29 2018: Is there a new number one film?